The club’s steep hill­side loca­tion offered no ready site for a sec­ond pool, so Arch Pac engi­neered a site with the use of retain­ing walls. 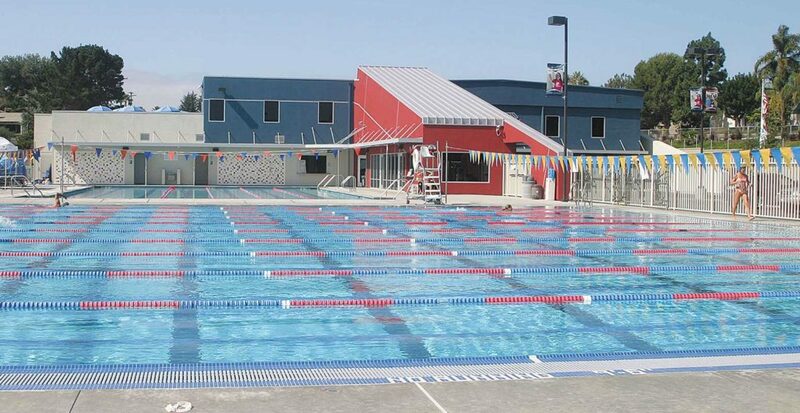 Solana Beach is home to many world-class triath­letes who now train in this beau­ti­ful new 25-yard x 25-meter pool. With a depth of 9 feet, the pool is also ide­al for water polo. 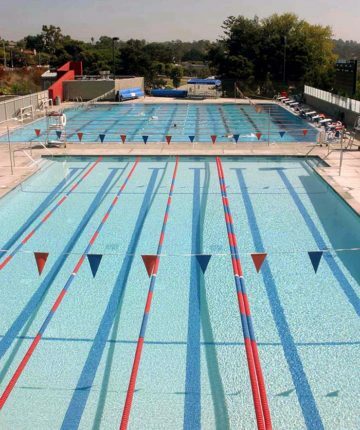 We ren­o­vat­ed the club’s exist­ing 25-yard warm-up pool at the same time.